Mapping the world at scale using computer vision and street-level imagery is the title of the first announced keynote at this year’s Swedsoft conference, Software Technology Exchange Workshop, STEW. 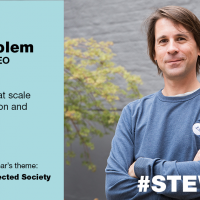 The keynote speaker Jan Erik Solem is the co-founder and CEO of Mapillary, a street-level imagery platform that uses computer vision to fix the world’s maps. Jan Erik is a computer vision specialist and a former researcher and math professor. He has authored several books, including a best selling computer vision book. Prior to co-founding Mapillary, Jan Erik built and sold a computer vision company to Apple, where he then spent several years leading a computer vision team. Jan Erik has twice been named Technology Pioneer by World Economic Forum, he is an angel investor. 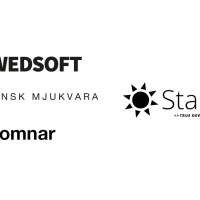 “I look forward to speak at Swedsoft’s yearly software conference. In my talk I will present learnings from using computer vision to build a global world representation for cities, mapping companies, and automotive.” says Jan Erik Solem. The keynote will cover some core technical innovations, crowdsourcing of data, large scale computing, open source and open data, and how to get businesses and communities to work together. 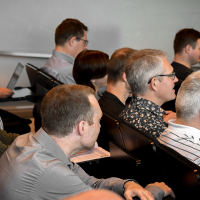 In the talk example use cases from smart connected cities and autonomous vehicles will be shown together with an outlook towards what to come in this field. “Jan Erik has an inspiring background and his presentation fits perfectly into this year’s theme Connected Society. I cannot wait to listen to his interesting talk on November 14th.” says Gabriel Modéus, Swedsoft’s Secretary General and STEW project leader. With the release of this keynote we also open the registration to this year’s conference. Secure you participation today at trippus.net/STEW2019. 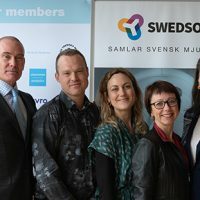 Organizers: Swedsoft together with the co-hosts Lund University, Malmö University, Blekinge Institute of Technology, Linnaeus University, Teknikföretagen, Saab, Starcounter, Addalot, Informator, ANTS and Business Region Göteborg.